I didn’t know my Great Uncle very well before I did this interview, so this project was an excellent way to get to know my Great Uncle and listen to his experiences as a soldier. 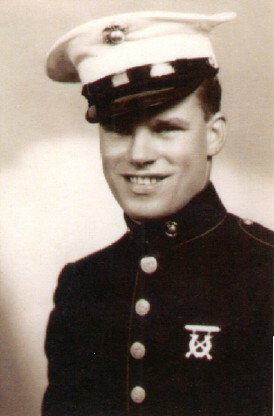 My Great Uncle Hector Greve fought in the Pacific during World War II. He was a marine in the Fourth Regiment of the 6th Division. At home, before he was even 18, he already had three brothers in the war, Ronnie, John, and Bob. So, when he told his mother that he wanted to join the army, she understandably told him that he couldn’t because three sons in the service are enough. 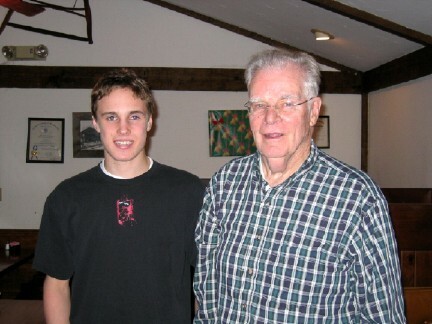 However, when he became 18 he was drafted. After he was drafted he was asked by a recruiting agent what he would like to serve in. A couple months in the past, he had made a bet with a friend that he could get into the Marines. So, he said "Marines." The recruiting agent told him that they weren’t taking Marines at this time, but another officer had been walking by and stopped by Hector and said to the recruiting officer, “Just put him in the Marines.” He was then shipped off to training in Paris Island, South Carolina, in what was known as Paris Island Boot Camp. He was known as an East Coast Marine. Training for the Marines was no easy task. Boot Camp was very strict and had to get you in prime physical condition. One of the most important training exercises was going on your hands and knees below barbed wire. This was good because you would hit the barbed wire if you rose too high. This was great practice for real battle, because when you were crawling in a real battle, if you rose too high you were shot. He was at boot camp for 60 days until he was to be shipped out to the Pacific. He went to North Carolina, then to Fort Pendleton in California, then over the Pacific onto the first island that was taken, Russell Island. Shortly after, Hector left for Guadalcanal. After months more of training went by, he was moved to Guam. Soon enough after that, he left for Okinawa. 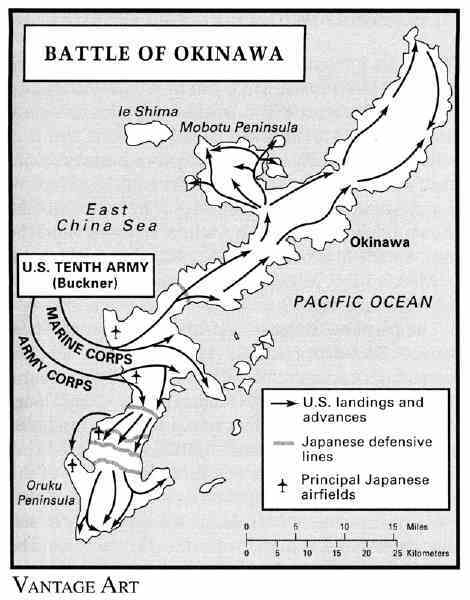 The military strategy for taking Okinawa had four main phases, the advance onto the eastern coast, the clearing of the northern part of the island, the occupation of the outlying islands and then the main battle against the dug in Japanese on their hillsides. 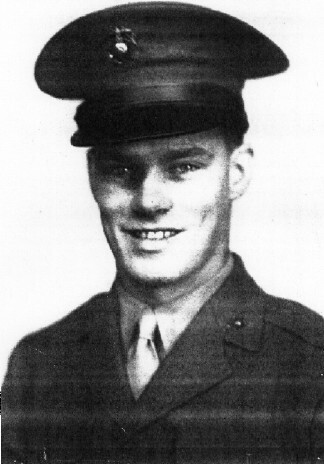 Up until Okinawa, he had been on islands that the Marines had already taken and were secured. On Okinawa the true battle began. The capture of Okinawa was to begin on April 1st, 1945, Easter Sunday and Hector’s 19th birthday. When Hector’s ship arrived near the shore, he would have to climb off the ship, down the rope ladders and get into an amphibious vehicle that would drive itself close to the shore then use tires on the bottom to get traction against the coral and drive straight up the beach. The landing was organized into waves; my Uncle was in the 5th wave. His first task on that day was 105 AMMO. That meant that he was responsible for carrying the ammunition for the AA (anti-aircraft) guns that had to be set up once the beach was secured. The beach was taken without much resistance because the Japanese, realizing the extremely large and strong presence of the Naval force present would make any large battle costly, had backed onto the hills and dug in where naval fire was nearly useless. Despite pulling their men off the beaches, the Japanese did make it difficult for the marines. One of Hector’s most terrifying memories was one of “strafing planes”. Strafing planes were planes that would go into a dive towards the ground and constantly fire round after round at the ground in hope of hitting enemy soldiers. My Great Uncle remembers looking around for cover that wasn’t there. He said it was the scariest night of his life. There were no foxholes dug out, so all he had were the ammo containers as cover. It was a terrible experience as ‘Corpsman’ calls, calls that marked a man was down, injured or worse, were common. The sky, he said, was lit up with bullets called ‘tracers’. Tracers were found in every fourth bullet in a round. It let the pilot or the AA gunners know where their shots were going even in the night. It was a terrible time as the drop of a hat determined whether you got hit or not. My Uncle however, was lucky enough to have survived without being hit. After the beach was secured, my Uncle’s division was sent to secure the North part of the island. They secured the Northern area with little resistance and after 4 days they went towards a region called Naha. On the way south, they met serious resistance. The Japanese had dug into the hills and built small railroad segments for large artillery. Every night they would roll out these huge guns and shoot down at the U.S. troops all night. Then, during the day U.S. planes would bomb the areas so much you wouldn’t think that anything would be coming out at all. Then that night the guns would roll out again and fire down on the troops. My Uncle was on the front line for one of the battles leading south, the battle for Sugar Loaf Hill. During the initial assault or forward movement, shrapnel from a mortar shell from a rotating artillery gun hit him. He wasn’t killed, but he was injured by it. He could hear the “CORPSMAN!” calls when he was hit and he said that they were very quick and very organized at getting him in a stretcher and taking him to the field hospital. After he recovered from his injury, he returned to the battle, but he stayed with HQ, or headquarters which progressed as the front line did, except farther behind, coming with supplies and ammunition. He received a Purple Heart medal for his injuries. After more months of supply duty, 24 May came and he was discharged from the army. Sixty years later, it’s still difficult to talk about certain parts of the war and the people who were lost, but my Uncle Hector is proud of his time in the Marines and his service to his country.